Cindy Moore, who learned to play the sport in Arizona, is hoping to help the sport become a part of the sporting landscape in LaGrange. A few weeks ago, with the help of some other pickleball-playing friends, Moore began offering free clinics at the McCluskey Tennis Center. 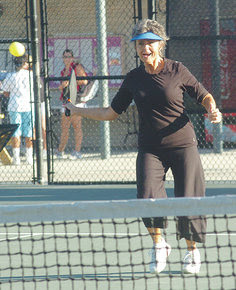 Moore, a long-time tennis player, said she was hooked from the first time she tried pickleball about six years ago. Now, Moore serves as a Georgia ambassador for the US Pickleball Association, and it’s a role she takes seriously as she looks to introduce the sport to as many people as possible.